SoftFluent is Microsoft Gold Partner certified. Technology innovation is going fast, and this pace of change is accelerating as the world goes global and the competition gets fierce. A lot of announcements are made every day by technology providers and it does not look like this motion is going to slow down. For enterprises which need to maintain and improve the systems supporting their businesses, this is a quite unsolvable challenge, at least by keeping the same approach that was used in the past. SoftFluent management team is composed of Microsoft veterans that have a very significant field experience, cumulating personal involvement on more than 600 different customers. 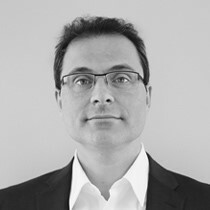 Graduated from "Ecole Polytechnique" & "Ecole Nationale Supérieure des Télécommunications", Daniel COHEN-ZARDI has over 20 years of experience in enterprise software. After a first experience at CGI-Informatique, a CASE tool leader on mainframes then acquired by IBM, he spends 8 years at Microsoft, first in consulting, before taking charge of developer, ISV and emerging market evangelism. Daniel drives the company and especially strategy, positioning and finance. He is also the president of the R&D commission of French ISV association. 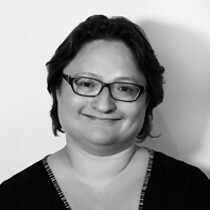 Graduated from Ecole Supérieure d'Electricité (SUPELEC), Maud Chiva-Rampazzo has over 25 year experience in software development projects. After starting her career at Bull-Ingénierie, she spends 8 years at Microsoft Consulting Services with responsibility for projects centered around industrialization of development processes. She joined SoftFluent in 2007, leads the QA team of the product division and acts as a technical mentor for less experienced people within the company. 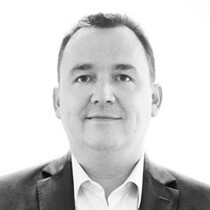 Graduated from Ecole Nationale Supérieure de Chimie et de Physique de Bordeaux, Lionel Poli has a global experience of about 25 years in software vendor and associated services environment. After a first 10 years experience in R&D department at Prologue Software (Bull Micral), a French software vendor, he spends 10 years in Consulting Services at Microsoft in a Services Line manager role. He follows his career 3 years at SAS Institute taking respectively a Consulting and Professional Services Director role. Since 2010, Lionel took the direction of the Professional Services division, with the ambition to make it the reference company in France for .NET development. Graduated in Software Engineering, Antoine spent his 8 first years at Microsoft in Product Marketing and Sales. He then spent 3 years with Dell before joining AvePoint to create its French business unit, growing it from nothing to several millions euros in 3 years. He then moved to EMEA management responsibilities. Since October 2015, Antoine manages SoftFluent software team, with a specific focus on RowShare, the new collaborative table. 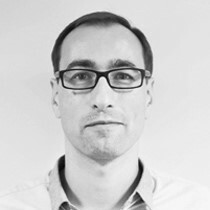 Antoine oversees software development, product roadmap and business development. Graduated from ISTIA (Ecole d’Ingénieurs de l’Université d’Angers), Christophe spent 10 years doing Application Development Consulting. He then joined Expertime where he created and developed E-Business and Consuting business units, managing fixed price projects and a 40 consultants team. In 2012 he created CimPad, a company specialized on customer relationship digital transformation. 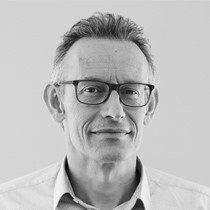 In October 2015 CimPad became CimPad by SoftFluent and since then Christophe leverages his experience in digital strategy as well as web and mobile solutions to boost CimPad growth.